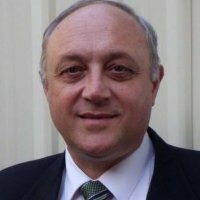 Gaetano Fina has gained 35 years of experience in property sales and construction in the qualities of Licenced Real Estate Agent VIC, Accredited Property Investment Advisor, Buyer’s Advocate, Valuer and Building Engineer. His nationwide experience in the field of investment properties has led him to specialise at different times in Commercial, Industrial and Residential Real Estate. Gaetano’s professional commitment is to share his experience and knowledge accumulated with purchasers who pursue personal, financial and investment goals by investing in real estate. By analysing the buyer’s circumstances Gaetano ensures that only the most appropriate properties form part of a property portfolio aimed to implement the investor’s strategy in the most efficient way possible. The approach is supported by ongoing investment education for buyers during the different stages of property cycles and whether property represents the most appropriate investment vehicle for them at a particular point in time. Gaetano began his working career thirty five years ago in Italy where he attained his qualification as building engineer and participated in the rebuilding of an earthquake devastated region. He came to Australia, NSW in 1995 with his family, used his expertise to assist people add value to their prosperity as a property consultant and completed his qualifications as an estate agent. In 2008 he completed a course with the Deakin University gaining the accreditation as a Property Investment Advisor. After moving to Melbourne in 2011 and acting as operational manager with a Property Investment Firm for two years he has setup his own practice as a Property Investment Advisor in Berwick VIC.